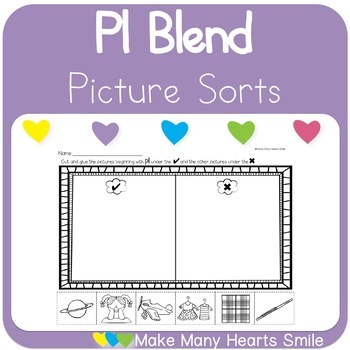 This Pl pack is quick for you (5 worksheets and an answer key) and simple for the kids (Same format with simple instructions and can be used for a fun center activity) . Blend Sorts Pack. 6 Pages of L Blends Practice.